The title of this episode—taken from a Morrissey song—raises a question: What is being ignored? The obvious answer is Damon. But I think the real answer is the fractured nature of this group of people and the way it affects communication. The opening scenes emphasized this. 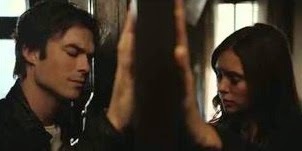 After the hurrahs and confusion of Damon’s return, everyone started to focus on denying communication: Damon doesn’t want anyone to know about Bonnie. Elena wants to avoid Damon. Caroline is confused about how Damon came back. Matt is confused about which vampires we’re supposed to like, and he plots with Alaric and Caroline to figure out how to confuse Tripp. 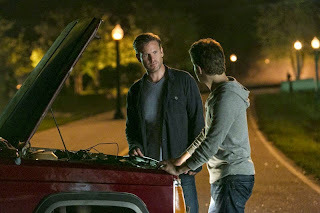 Stefan didn’t tell Damon about Tripp, or about Enzo. Elena had to tell Jeremy about Bonnie—false info, too—by cell phone. That’s why Jo’s conversations with Elena and Alaric were so refreshing. She called Elena out on the snooping and revealed that she’s a witch. (Hooray, a witch! We can get Bonnie back!) She called Alaric out on his attempted compulsion. She is, in short, a grown-up. Thank goodness. That scene, by the way, was brutal. Ivy’s death at the beginning of the episode was confusing at first—I couldn’t figure out why her head snapped or why that other vampire got a brand-new hole in his head. But once Stefan and Damon started to bleed, it made sense: with the magic of vampirism stripped away, their bodies returned to the state they were in before the magic too effect. It’s very sweet and redemption-y that Stefan risked his own life to save Damon and Enzo, but it looked painful. When Elena decided she didn’t want to forget Damon anymore, she wondered how anyone can figure out what to do if they only know half the story. Maybe this episode's resolutions--which included Matt telling Sara about the Salvatores, and Caroline telling Stefan she didn't want his friendship--marks a turning point in our characters' ability to finally tell the whole story. • Damon: “Professor Saltzman. What, you couldn’t compel yourself a PhD?” That sentence makes no sense. “Professor” is a job title. “Doctor” denotes a degree, like a PhD or an MD. • Despite all the scenes set in the Salvatore kitchen—both in 1994 and today—I never noticed the big monogram over their kitchen hearth before. It’s tacky. Who monograms a kitchen hearth? Three out of four adventures in the flannel hellscape of 1994. Vive l’Alaric! I was wondering how they were going to keep Damon and Elena apart for the rest of the season, and voila. It'll be interesting to see how they resolve this. At least Alaric is himself again, and you're right -- the new witch means there's a way to get Bonnie back. That opening scene -- man, if I had to die that way, how awful that I'd have to do it to very loud, twangy country music? Tripp is too cruel. Nice review, and I agree with you on all of it. At first I was very frustrated with the Alaric development, not because he's human (although that effectively undercuts any conflict the character had), but because of the whole compelling Elena thing. I don't want another forced triangle with Liam the boring. Since Stefan is totally out of the picture now romantically speaking. But I might come around to like this, if it is done well. We'll see. Josie, for us mortals without a degree, the idea of a professor is usually tied with being very well educated. The joke is, you compelled yourself into a professorship, why not go all the way and make yourself a doctor too. If alaric's not a vampire anymore wouldn't that mean that his compulsion over Elana would break. I'm not sure if i'm remembering it right but wasn't it explained when Elijah was keeping Katherine in that room that vampires have to maintain their compulsion? Anonymous, the next episode answers that question.